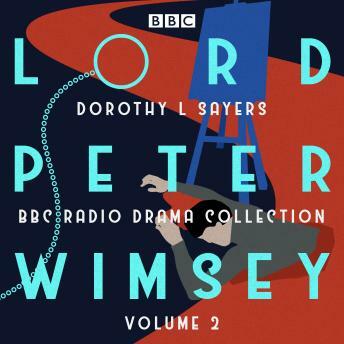 Elegant, erudite and sharp-witted, aristocratic detective Lord Peter Wimsey featured in numerous novels and short stories by 'Queen of Crime' Dorothy L Sayers. These full-cast adaptations - first broadcast on BBC radio between 1975 and 1981- are loved by mystery fans all around the world. In The Unpleasantness at the Bellona Club, when General Fentiman is found dead at his club, Wimsey suspects foul play. Could he have been murdered for his money? Five Red Herrings sees Peter faced with six men, all of whom have a motive for killing argumentative Scottish painter Sandy Campbell. But who was the culprit? In Have His Carcase, when Harriet Vane finds a body on the beach with his throat cut, Lord Peter must work out whether it was murder or suicide. These classic dramas also feature Peter Jones, Joan Hickson, Miriam Margolyes and Warren Clarke.